Rain Taxi is pleased to welcome the following authors from around Minnesota and the country to this year’s Twin Cities Book Festival stages. Book sales provided by Red Balloon Bookshop. Click here for Program Descriptions! Derek Anderson has over two dozen children’s books published, and more on the way. His passion for drawing and illustration started from a very early age—in fact, as early as kindergarten. His is the artist and cocreator for the popular Little Quack Series, and has also designed and sculpted for both Disney and Warner Brothers. Author of One Day in the Eucalyptus, Eucalyptus Tree, and other children’s books forthcoming, Daniel Bernstrom is the Learning Resource Center Coordinator for Minnesota State College Southeast. Bernstrom, a visually impaired writer, received an MFA in Writing for Children and Young Adults, and loves composing picture books as well as books for early and middle grade readers. Alabama-born Jean Reagan now lives in Salt Lake City with her husband and spends her time writing the best-selling series of How to ___ children’s books. When she isn’t writing, she and her husband are volunteers for Grand Teton Park in Wyoming. Hamline University MFA graduate Elizabeth Verdick has written nonfiction and fiction books for readers from toddlers to teens. She used to work as an editor of children’s books. She has also loves children’s books and animals, which have been a huge inspiration for her writing (along with her two children). Millions of copies have sold of Gennifer Choldenko’s acclaimed Tales from Alcatraz series, and the author is turning out novels with no end in sight. She has won the Newbery Honor Book and over twenty other awards, and she lives in the San Francisco Bay Area (near Alcatraz, of course, but not as an inmate). 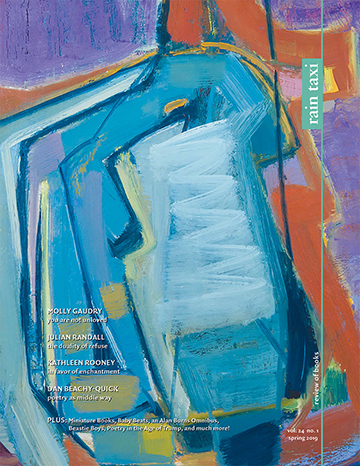 Sheila O’Connor is a multi-genre writer who writes for both youth and adults; she has had short stories, poems, and essays published in anthologies and magazines and is the author of five books. She graduated from the Iowa Writer’s Workshop and currently teaches at Hamline University, where she is a fiction editor for Water-Stone Review. Melissa Savage is not only a widely recognized children’s author of Lemons, but by day she also works as a child family therapist; she has fundamental belief in expressing oneself through art, especially when life gets tough. She lives in Minneapolis and loves to learn and write about the world’s mysteries for children. Jeff Seymour is a fantasy writer who finds ideas for his stories everywhere he can. He works as a freelance editor and helps other sci-fi and fantasy writers shape and refine their stories. Liesl Shurtliff grew up with seven siblings and a long lasting fascination with fairy tales, resulting in books such as Jack, Rump, Red, and now Grump. She lives in Chicago with her husband and four children, but still wanders back to her childhood memories and mind to gather magic for her writing. Erin Soderberg has worked a hodgepodge of jobs, but currently lives in Minneapolis with her kids and husband while focusing on her many novels and series. She is the author or two very popular children book series, The Quirks and Puppy Pirates, and has just launched her latest, Disney’s Daring Dreamers Club. S.A. Bodeen grew up on a dairy farm, joined the Peace Corps with her husband, and has lived in two different African countries (as well as eight U.S. states). She is the author of many books and has won many awards and recognitions for her YA, middle grade, and picture books. Shannon Gibney is a university professor, author, and activist who calls Minneapolis home. She appears in the anthology A Good Time for the Truth: Race in Minnesota and her award-winning work is highly inspired by issues of race, class, and adoption. Her newest and highly anticipated book follows an African-and-American family across five generations of heartbreak and hope. Tiffany D. Jackson is a TV professional as well as a full time novelist; she has a BA in Film from Howard University and an MA in Media Studies from the New School. She currently lives in New York with her dog, Oscar. Jackson is the author of the critically claimed Allegedly; her new book “examines issues such as abuse, gentrification, and the marginalization of people of color with nuance and sensitivity” (School Library Journal). David Levithan is renowned as a force in the children’s literature community, both for his editorial and publishing work and for his own writing and collaborations. He has an extensive rap sheet of published works and two of his novels have been made into films. His latest book Someday is the sequel to the New York Times bestsellers Every Day (now a major motion picture) and Another Day. Maggie Ann Martin is a recent University of Iowa Graduate with her BA in English and Journalism. When she is not writing or watching TV she is quite the fangirl for fiction on the internet. Her first novel, The Big F, was highly praised and her newest looks like it will follow suit! Having worked as a wedding planner and floral designer for ten years, Jessica Pennington describes herself as “a professional romantic.” She is the author of the young adult contemporary romance Love Songs and Other Lies and lives with her tech-geek husband and two-year old son in Michigan. This dynamic father and son writing duo explore natural disaster in their new book Dry, specifically the very real California draught and raging wildfires. 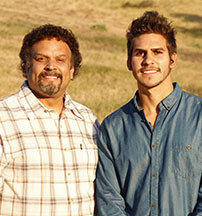 Neal Shusterman has published and won awards for over thirty bestselling novels, and also writes screenplays. Jarrod writes mainly for film and television, as well as directing and producing. Don’t miss this incredible chance to see them both! Kiersten White is the bestselling author of the And I Darken and Paranormalcy series. Her latest book is a stunning reimagination of Mary Shelley’s Frankenstein, speaking to the fears we all bury deep inside. Kiersten lives in San Diego currently and day dreams of faraway places and further away times. Children and adults are invited to take a book fair break in the Coloring Corner near the Children’s Pavilion. Crayons will be provided along with coloring sheets featuring characters from some of your favorite children’s books. 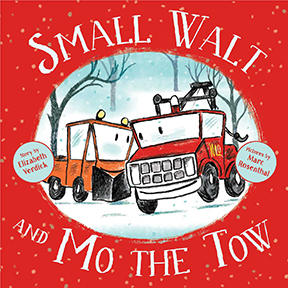 Small Walt, the beloved snowplow, is back with a friend! When a car is in need of help, it’s Mo the Tow to the rescue! Meet Elizabeth Verdick as she shares her stories of Walt and Mo’s teamwork and friendship. Don’t forget to bring your favorite car or truck! In Jean Regan’s bestselling books, readers have learned How to Babysit a Grandpa, How to Raise a Mom, and even How to Catch Santa! 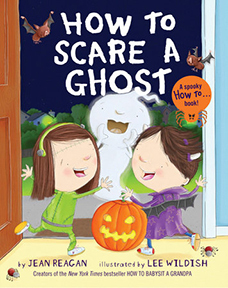 Now, she’ll teach you How to Scare a Ghost! Costumes encouraged at this silly and (not-so) spooky storytime. Kids aged 8-12 are invited to join Icelandic children’s author and creative writing teacher Markús Már Efraím for a short workshop on writing a scary story. Participants will start their own story and get feedback on how they can work with their ideas. 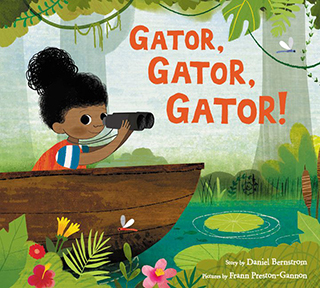 Let’s go on an adventure with Daniel Bernstrom as we look for a giant alligator in Gator, Gator, Gator, a follow-up to the critically acclaimed One Day in the Eucalyptus, Eucalyptus Tree. It’s a rhyming and rhythmic romp through the swamp! 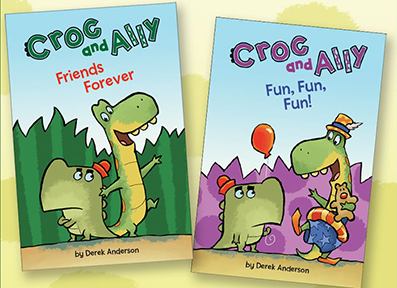 Introducing Croc & Ally, the stars of Derek Anderson’s new, easy-to-read series about an unlikely pair of friends! Experience first hand what it’s like to be an author and illustrator as Derek reads his books and draws the characters. Join Lisa Von Drasek, Curator of the Children's Literature Research Collections of the University of Minnesota Archives and Special Collections, as she demonstrates how to inspire kids ages 5-15 to write. 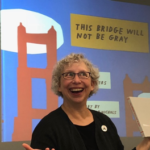 Using simple tools and mentor texts, Lisa has been inspiring kids to write comics and menus and letters and memoirs and all other ways of putting crayon, pen, marker, and pencil to paper for over 20 years. This is a hands-on workshop for children and young adults, though parents and caregivers are welcome to join! After the 45-minute session, everyone is welcome to stay as long as they like to expand their ideas in the open writing area with volunteers from the University of Minnesota and the Mid-Continent Oceanographic Institute. Whether you need a listening ear or a partner in crime, friends are there when you need them. Join authors Gennifer Choldenko (Al Capone Throws Me a Curve), Sheila O’Connor (Until Tomorrow, Mr. Marsworth), and Erin Soderberg (Daring Dreamers Club), who will share their books and the friendships that inspired them. Readers can travel deep in the woods, chase after flying pirate ships, and hunt for crash-landed UFOs, just by opening a book! Let’s celebrate the imaginations of readers everywhere with Melissa Savage (The Truth About Martians), Jeff Seymour (Nadya Skylung and the Cloudship Rescue), and Liesl Shurtliff (Grump: The (Fairly) True Tale of Snow White and the Seven Dwarves). Whether you’re in the far-reaches of the galaxy or in a high-school classroom, falling in love is never easy. Join the discussion as S.A. Bodeen (The Tomb), Maggie Ann Martin (To Be Honest), and Jessica Pennington (Love Songs and Other Lies) share the ins and outs of love and relationships in their new books. Authors Shannon Gibney (Dream Country), Tiffany Jackson (Monday’s Not Coming), and Kiersten White (The Dark Descent of Elizabeth Frankenstein) show their character-crafting chops in their new books, and we want to know how they do it. Join these powerhouse authors as they share the stories and inspirations behind their complex characters and the complex worlds in which they live. Co-sponsored by The Givens Foundation for African American Literature! 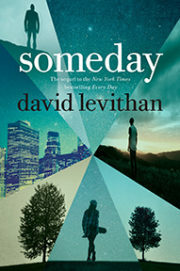 YA literature legend David Levithan presents his newest novel, Someday, a continuation of the captivating and bestselling Every Day series. Don’t miss your chance to meet this award-winning, best-selling, and beloved author! Multiple award-winning author Neal Shusterman delivers another trademark dystopian novel, this time with his son, Jarrod Shusterman. 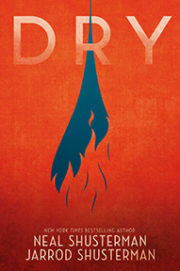 Hear the behind-the-scenes details about how they created Dry, an apocalyptic thriller about what it takes to survive when the U.S. runs out of water.